Why Invest in Web Site Maintenance? The importance of SEO tuning, good housecleaning, and a website maintenance program must be considered for good online brand awareness, brand development, and customer trust. Maintaining a good brand image for your company online is a prime reason for keeping a business website up-to-date, and is a process that should never stop. A website that is static, with a business that never adds any new content, may have copyright notifications that are way out of date, is displaying to the world, a company’s brand image with very little attention going into the online details of the company website. This is a red flag and calls attention, with potential new customers thinking, that if a company does not pay attention to the details on their website, maybe customer service is questionable too. From a standpoint of SEO and the search engine algorithms we have been given insight into some of the key points that are examined when the search engines produce a set of results pages for any particular keyword search. Nothing is spelled out exactly of what the weight factors are for ranking pages, but significant hints are given. One of those addressing the content of the pages and the changes to the documents. 50. The method of claim 1, wherein the one or more types of history data includes information relating to document topics; and wherein the generating a score includes: performing topic extraction relating to the document, monitoring a topic of the document for changes over time, and scoring the document based, at least in part, on changes to the topic of the document. While this particular statement does not say that changes to a document are good nor bad, there are additional insights that gives indications that relevancy of the content, anchor text links (the actual words you see in a page link are anchor text, and the content are important to the search engine algorithm. From a search perspective it is important to keep the information fresh and up-to-date. Additionally from a visitor’s perspective it is also important to see current copyright dates, email contact information, products and services provided, information about the company, news updates, and making sure that everything that is said is accurate. In the case of advertised pricing, product descriptions, machinery specifications, shipping costs, or any number of key points could be considered a form of advertising. In this case a customer could hold a company liable for advertised pricing, equipment provisions, or other falsely advertised information. Because of the limitless bounds of the Internet, as soon as a website is published online your company now has the possibility of International reach. Doing any business Internationally opens up a whole new aspect to following everything from International trade, commercial law, copyright law, intellectual property, and electronic commerce. See: International Business Law. This is only the tip of the iceberg in regards to the maintaining a website. Certainly from a search engine, marketing, advertising, and sales perspective; having an up-to-date website will provide a solid foundation for communications both to new and existing customers. A business website is an extension of the company. As more individuals are doing their market research for products and services for consumers, along with buyers, purchasing mangers, and engineers searching for other B2B sources, it will become more important as time goes on to have a fresh and accurate face online. 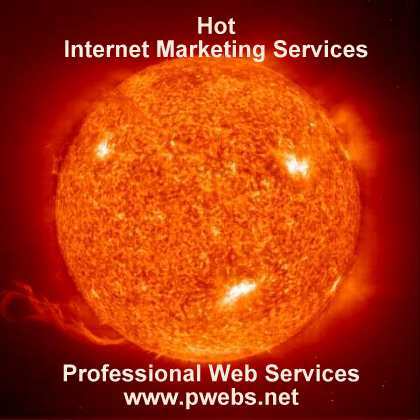 Professional Web Services today can make your company a bright star with professional Internet marketing services and website maintenance to make a difference for your business online. You will start gaining quality sales leads, new customers, and current customers will appreciate having relevant information that they can refer to. Email Professional Web Services today to get your website found online. “Honesty is the best policy” When dealing with customers and clients, not following this policy comes back to bite people time and time again. Do not be swayed by shortsightedness. If you see a potential for a quick buck, ask yourself if this really is a proper way to go about doing something. Many businesses have been guilty of shortsightedness themselves. They have extracted a quick buck at the expensive of their integrity and consumers’ wallets. Remember, when working with clients, he or she is placing web site trust in you. Hold onto that trust dearly and don’t do anything that would harm it. They are trusting you to help them out on the Internet. Remember this saying: Tell it like it is and do it with style! Customers will appreciate it. See: Business Ethics. Professional Web Services provides the business solution for getting companies found on the Internet. Contact Professional Web Services today about Internet marketing services, online advertising campaign creation and management of SEM campaigns, ethical Search Engine Optimization “SEO, and Web branding solutions for B2B and B2C businesses online. Professional Web Services standouts from the crowd. You can trust that we will always have the best interest of our customers first. Read more about our Ethics in Business, Internet Marketing, and Online Advertising.